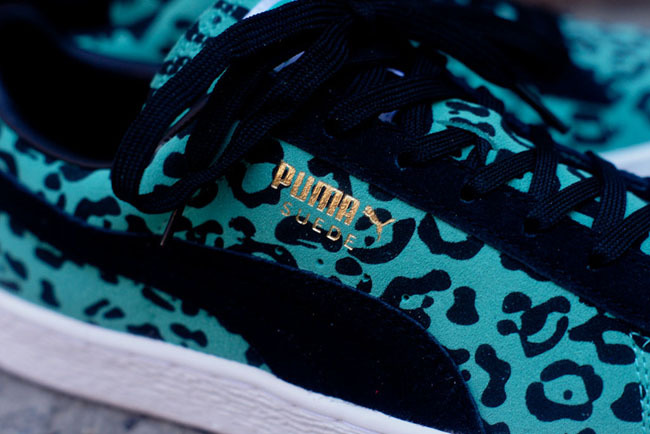 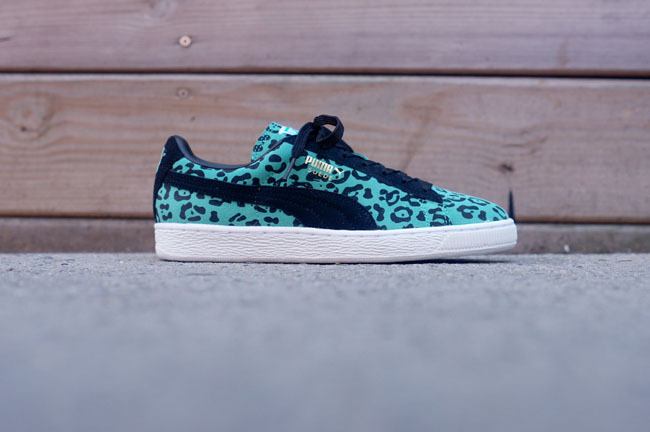 After previously seeing images of the Aqua version, we now have the both shoes included in the PUMA Suede Animal Pack. 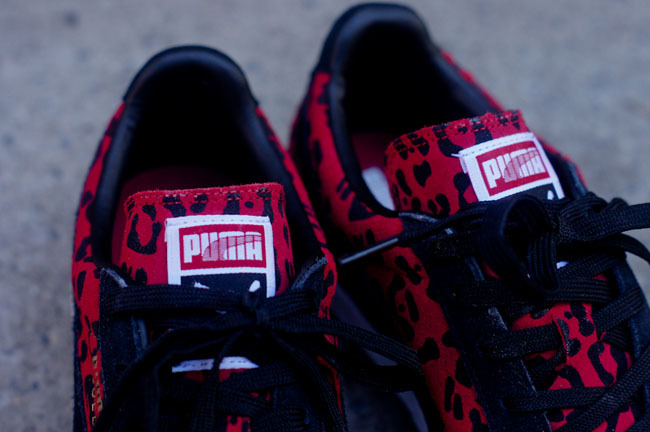 In addition to the aqua colorway, there's also a bright red version. 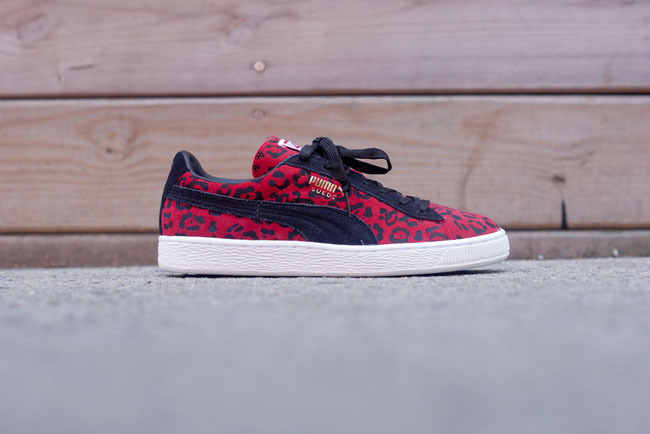 The pack is available now at Kith, and retails for $65 per shoe.